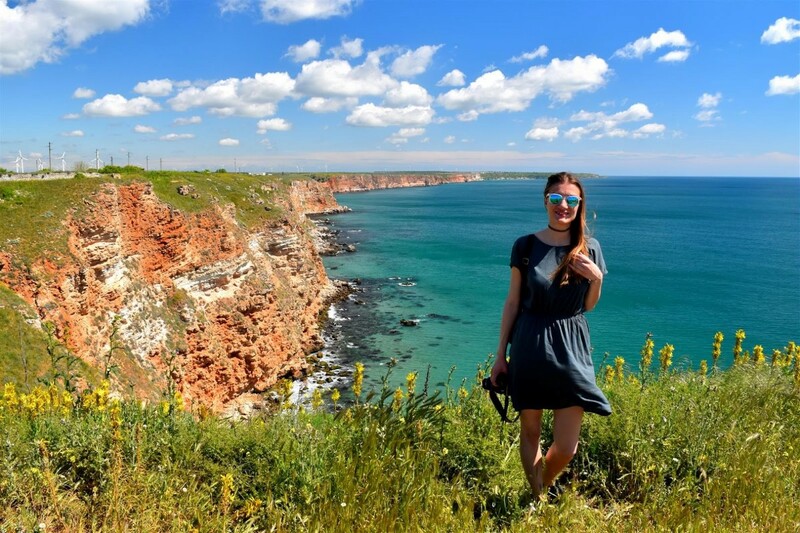 Cape Kaliakra is one of the biggest Bulgarian cultural and historical heritages. 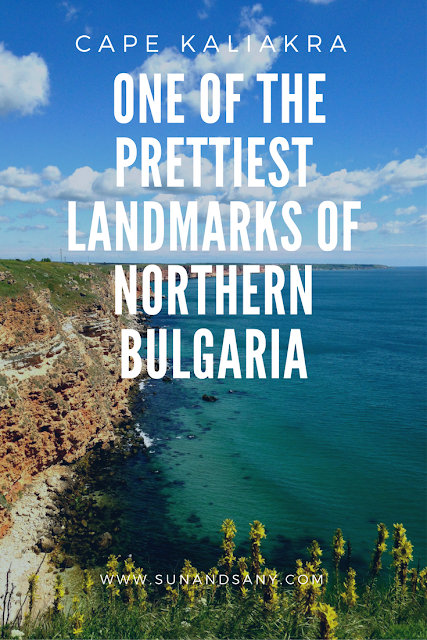 Situated on the Northern Bulgarian Black sea coast, I visited it for the first time this summer. I was absolutely amazed by its wonderful surrounding nature and intriguing history. 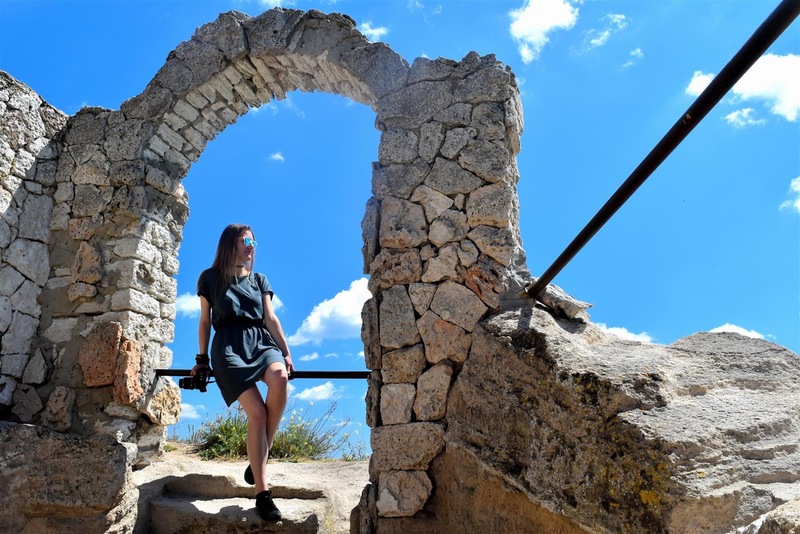 If you find yourself near Varna or Kavarna, see why this place is a must-see! Kaliakra is situated near the village of Bulgarevo on a 2 km long territory. The red colour of the vertical cliffs there is typical for this region of the Black Sea shore. Combined with the blue skies and sea they create a very picturesque landscape. The history of the cape is dynamic and it changes from rising to falling during the centuries. The statue that greeted us at the entrance of the cape was placed in honour of Admiral Fyodor Ushakov. He led the last battle of the Ruso-Turkish war in Bulgaria on the territory of Kaliakra cape. Here we passed by a Roman bath from IV century A.D. and lodging remains. The Thracian tribe "Tirizis" were the first inhabitants of the Cape according to the finds. Later, its history was changing dynamically. When the Bulgarians were settling down in the territory of today's Bulgaria, they weren't interested in this part of it. Later the Cape became an important centre of the Dobrotisa Despoty. The fortress wall that we saw is a restoration and according to me, it is very similar to the one in Veliko Tarnovo. On its territory, there is a restaurant with a panoramic view, as well as a museum nearby. We were all very excited to see a dolphin swimming near the shore. An interesting fact is that until 1981 monk seals were living here. Nowadays, they cannot be seen but it's highly possible dolphins to be observed. Aside from its historical importance, two dramatic legends are related to the chapel of Saint Nicholas. The first one is about 40 Bulgarian girls that tied their hair one into another and jumped in the Black Sea in order to avoid getting caught by the Ottomans. The other one tells about Saint Nicholas who was running from the Ottomans. When he was reaching the end of the cape, God made the ground under his feet longer and longer to save him. This way the Cape was formed. Cape Kaliakra is a unique landmark surrounded by virgin nature and related to intriguing history and dramatic legends. The cost for the entrance is 3 leva (1.50 euro) and on the territory of the cape shops for souvenirs, water and food could be found. I had a great time there thanks to Darina from Visitor's house "Our home" who showed me around. 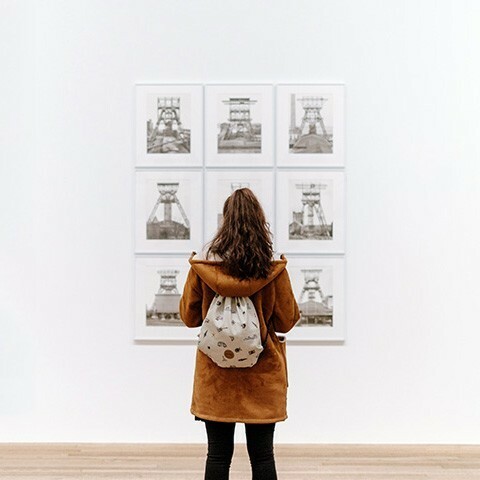 I strongly recommend you consider adding this place to your next travel destination! Hi Sany! This cape is magical, I'm amazed on its too, especially considering the fact that it's located and surrounded by virgin nature, the water has so many shades of blue and turquise :) What's more, I'm huge fan of places, which has rich history and they are beautiful in themselves - Cape Kaliakra sounds and looks one of those, who are must-haves when you're in Bulgaria. What about legends, both of them are sad and they stick in my mind for sure.